Arjuna Ranatunga was only 18 when he played for Sri Lanka in the inaugural Test match against England at the P Sara Oval in 1982. The short leg fielder is Geoff Cook. 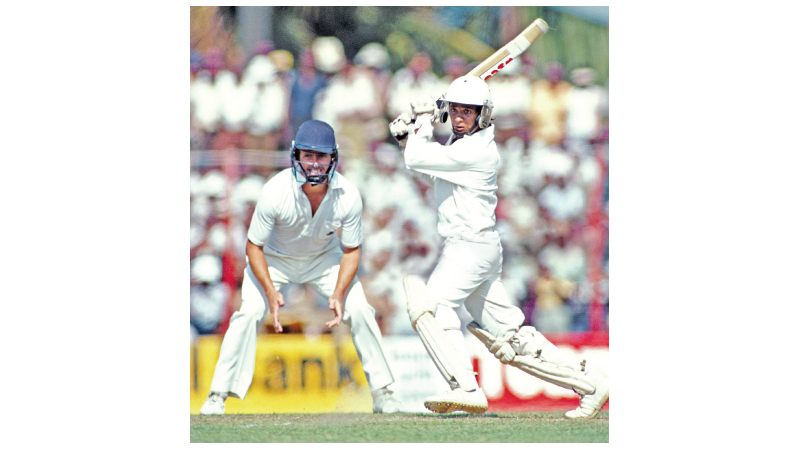 There was a time when school cricket in the country was of a high standard that schoolboy cricketers were able to walk into the Sri Lanka side and play like veterans without a care in the world. Such was the quality of the cricket they played and the talent they possessed that bridging the gap between school cricket and international cricket was no barrier. But over time while other countries have improved their cricket at junior levels, Sri Lanka’s once admired school system started to take a downward curve apparently with the Sri Lanka Schools Cricket Association (SLSCA) opening out its tournament to lesser privileged schools especially from the outstations that led to a diluting of the standard of cricket in schools and thereby reducing the quality of players coming through the system. Some may argue that by allowing outstation schools the SLSCA has opened the doors for lesser known schools to come to the limelight and thereby gain the recognition which they would not have got if they had remained in the wilderness. But while some may support SLSCAs move, on the other hand, it has increased the number of matches played by a school for a season more than twofold and thus taken away that competitive edge that existed in the seventies, eighties and nineties. Today you find more than 500 schools playing first eleven cricket. The lesser the number of matches the higher the quality of cricket that was played in the past, that was one of the reasons why players of class came through and were even able to walk into the national side. But today during a season, schools play more than 20 matches, some even on weekdays and some of them against weaker opposition that has led to the standard of cricket being lowered from what it was at one time. 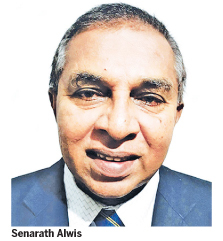 Senarath Alwis, a former junior cricket coach who thinks deeply about the game has a solution to revive those old days when school cricketers walked into the national team. “More than the talent it is the lack of experience that has seen the drop in schoolboy cricket standards,” said Senarath. “My proposal to overcome this malady is that as a rule two players who are playing at under 15 level should be included in the first eleven (under 19) team of every school. This should be made compulsory for every school. This means the first eleven team will have 9 players of last year plus the two under 15 players. By doing so there is going to be competition for places,” he said. “From April to September is the under 15 season and from September to March these selected two boys can play in the first eleven. Some schools have already adopted this method by having an under 15 cricketer playing in the first eleven team for instance a player like Kamindu Mendis who has benefitted playing under 19 cricket at a younger age. But this is only an isolated case. There are about 130 schools playing first eleven cricket and if each school comes up with two players there will be 260 players coming through each year,” pointed out Senarath, a former junior coach of Bangladesh, junior cricket coach of Royal College (under 13, 15 and 17) for 12 years, a Level 4 cricket coach and ex-director Physical Education, University of Colombo. “Today you don’t find cricketers in the calibre of Arjuna Ranatunga, Aravinda de Silva, Roshan Mahanama and so many others who played for their country while still at school. They had that experience of playing in the first eleven when they were under 15 that helped them when they were selected to represent their country. Today there are no players of that standard. Through my personal experience I have thought out this plan to bring today’s cricketers to that level,” said Senarath. “Once the talent is identified and the boys picked at under 15 level there should be a follow up like giving them special training not from school coaches, but from Sri Lanka Cricket coaches so that their cricket will improve vastly. We have to monitor them carefully from the under 15 stage and gradually bring them up like a cycle. The Sri Lanka Schools Cricket Association or Sri Lanka Cricket should take the responsibility of doing it. If we do that I believe our cricket can improve in great strides,” he concluded.